Sport is a realm of passion that burns white hot for what we love but is so volatile it can morph into icy bitterness and even hatred. When the team or player we love is threatened, mistreated, or defeated, we rise to the defense with vigor, but we are just as likely to turn on them if they disappoint us often enough. While there are plenty of instances of violence and verbal abuse to serve as evidence of this, most of us don’t delve much into that world of sports-related hatred. Most of us take the more passive, embittered route. This week I ran smack into my own sports bitterness, and it was an unhappy collision. I love the Minnesota Timberwolves and have since 1989 when the team was born. 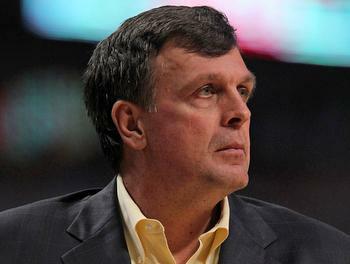 In 1995 Kevin McHale, the Minnesota native and former Boston Celtics great, took over operation of the team. To make a long, 13-year story very short, McHale, who’s now the head coach of the Houston Rockets, ruined the Timberwolves as a team, and I resented him . . . After all, the world of sports is the one place we can freely despise people and it’s OK, right?